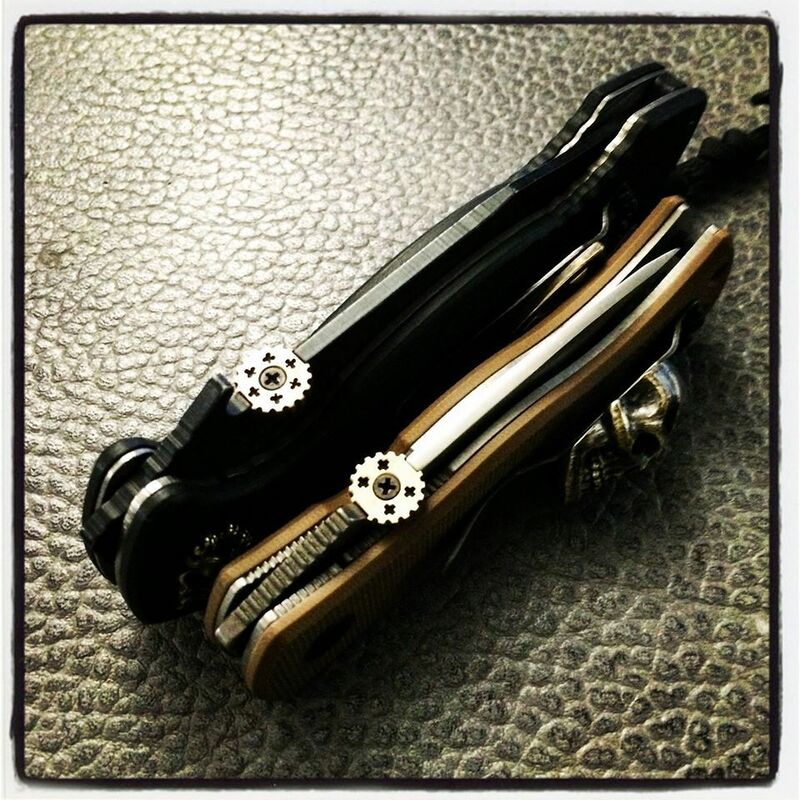 In September 2015 I purchased this folding knife from another collector. When it arrived it had detent issues and the blade was difficult to center. I sent it off to get some TLC. Four weeks later it came back home in mint condition. The detent issue was resolved, the blade was dead center, and the edge was polished. It waved beautifully but I couldn’t open it with it’s standard thumb disk to save my life, if necessary. Feeling that if I couldn’t deploy it successfully 100% of the time under duress, it was time to put it up for sale. My last ditch effort was to switch out the standard thumb disk for one of my own Street Reaper Bravo thumb disks. Screw driver in hand I swapped the disks and BANG the blade shot out and locked up solid. After just 15 more deployments to break in the new detent, the Iron Dragon purred like a kitten and is now part of my collection. 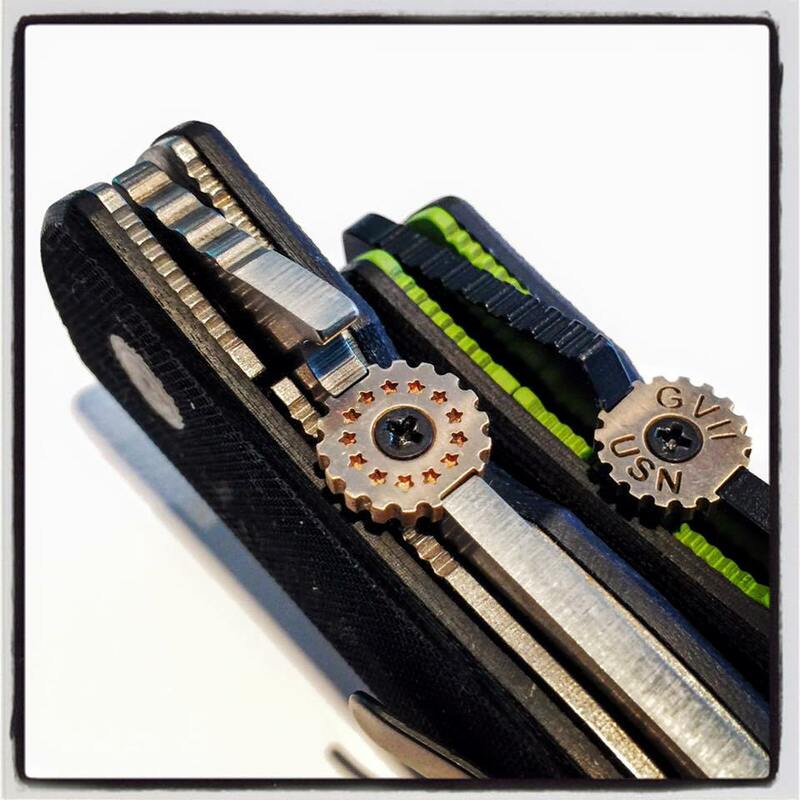 Custom thumb disks not only add beauty to your knife and give it a custom look, it is a piece of equipment that can make a huge difference in the performance and reliability of your folding knife giving you the confidence you depend on. While all production knives come with a standard thumb disk, not all knives perform well with it and comes down to the end user’s personal preference. 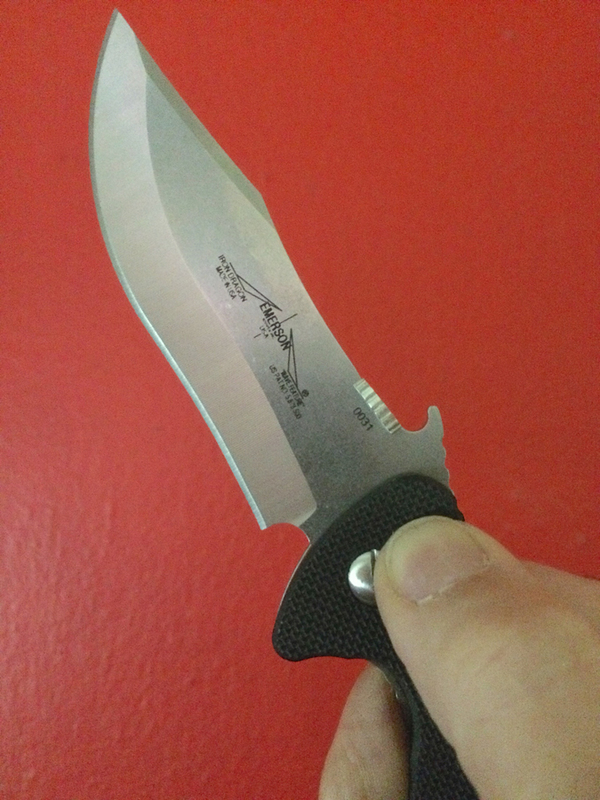 Many folding knives benefit from a larger thumb disk in the Bravo or Bravo+ sizes from Street Reaper to give you enough purchase to successfully deploy the blade 100% of the time. Street Reaper currently offers three sizes of custom disks: ALPHA, BRAVO, and BRAVO+. 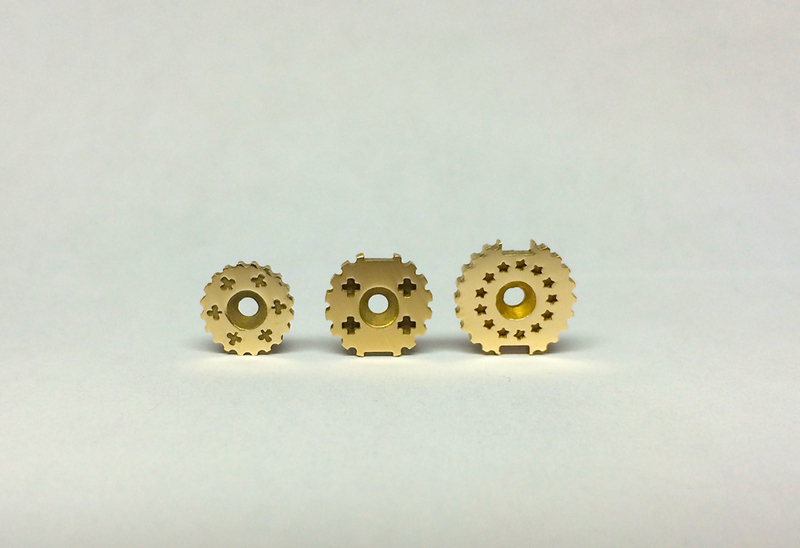 Alpha is equivalent in size to the standard thumb disk that is commonly supplied with most folders albeit with attractive custom designs that reflect your personal statement. Bravo+ is the largest custom sized thumb disk we make for those who require the ultimate in purchase power to deploy their blade. Street Reaper thumb disks are not only artful but also highly functional. We paid special attention to developing an aggressive knurling that was easy on the fingers and pockets but worked well in a gloved environment too. After extensive testing with various tactical gloves, flight gloves, and rappelling gloves we arrived at our signature Reaper knurling that performs flawlessly with a gloved hand yet is comfortable on your fingers during the warmer seasons. 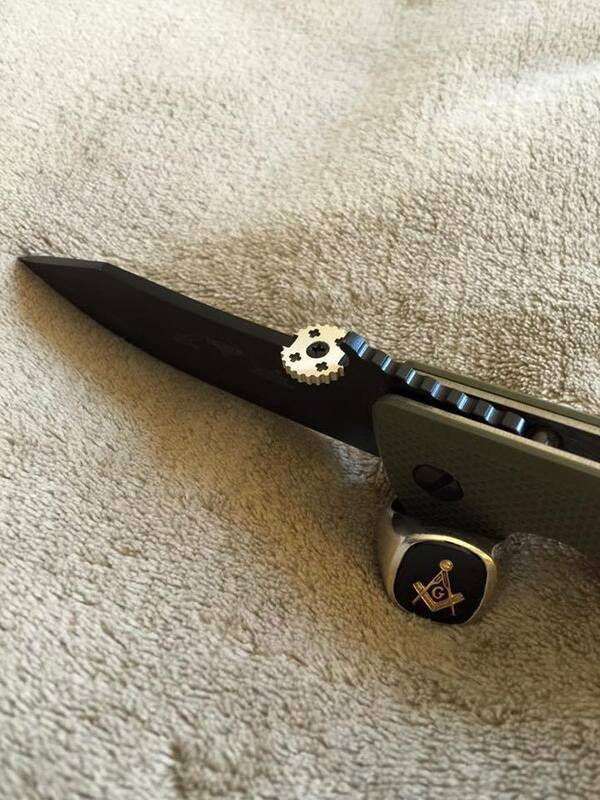 Street Reaper thumb disks deliver artistry, function and dependability. The goal was to take a relatively mundane piece of gear and create something that added to the style, beauty, and personal statement of your folder. 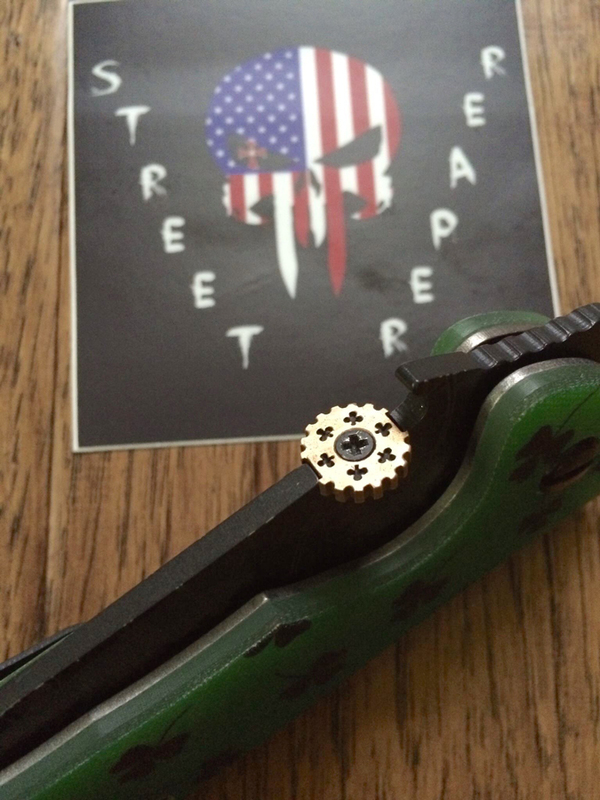 Street Reaper thumb disks are available in many styles including Shamrocks, Crusader crosses, Colonial Stars, Sniper, Gambler, and Fleur de Lis, to mention a few. Street Reaper thumb disks are also available as special limited editions in support of the Police Department, Fire Department, and EMT.